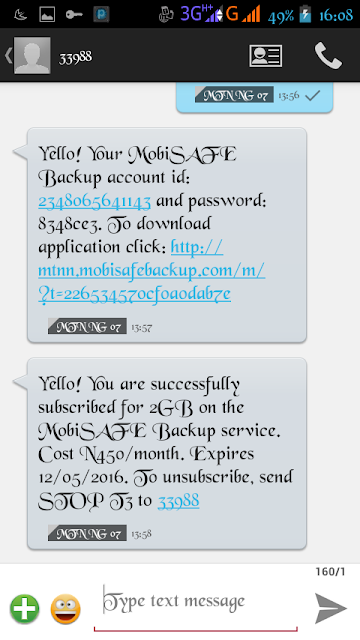 hello guys, i am here again with another Mtn Free browsing cheat for this April 2016 and it fuckingly rocking Hot...so Read And follow my instructions below. you will receive a text message confirming that you have successfully subscribed to MTN mobisafe backup and 2GB will giving to you. Guys, i will Advice you to do the one of N50 first, to Avoid Story that touches. Go back and select Netherlands Or USA as region, then connect! Please don't just read and go... Kindly Share to facebook.. Working very very well.. Doing the 2GB ASAP..